Talking With Your Mouth Full is a Sunday brunch series featuring a rotating cast of storytellers, a reading list, and the pancake toppings of their choosing. Blueberries could appear on your plate while a documentary filmmaker leads a conversation about the sources for their inspiration. Or perhaps an interesting blend of chocolate and orange inside a pancake will set the tone for a talk by a feminist zine maker. Part book club, part free school, and part breakfast joint, Talking with Your Mouth Full will get your cerebral and digestive juices flowing. The next TWYMF featuring Madeleine Campbell will take place on January 15 at 11am. 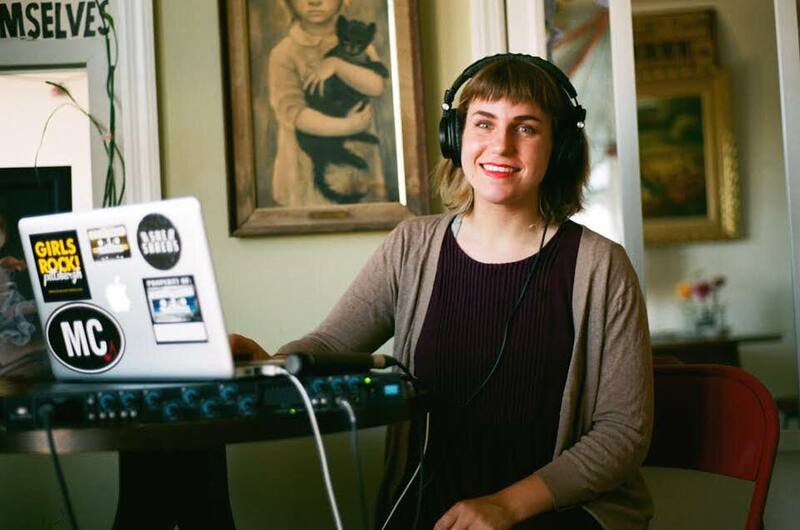 Madeleine Campbell is a recording engineer and educator working towards fostering a more inclusive audio industry starting with her own communities. She began recording in Pittsburgh studios in 2011 while pursuing her music degree at Duquesne University. Since then, she has worked with over 150 artists and bands ranging from DIY punk outfits to classical chamber music ensembles. Since its inception in 2013, she has volunteered and served on the Board of Directors of Girls Rock! Pittsburgh, dedicated to empowering female-identifying youth through music and creative expression. Last year, in collaboration with VIA Festival 2015, Madeleine launched the first issue of Women in Sound, a print publication dedicated to highlighting the achievements women and queer people in all areas of live and recorded sound. The first three issues available now and issue four is currently in production. Additionally, her writing has been published in She Shreds and Tom Tom Magazines. Currently, Madeleine works in production at Pittsburgh Modular Synthesizers and behind the soundboard for live shows at Brillobox. Next month, she will open the doors to her own studio, Accessible Recording, which will offer free childcare to all artists.